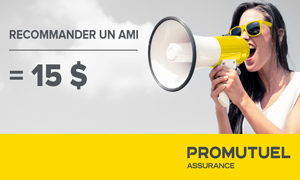 Promutuel Insurance du Lac au Fleuve: we insure you better. We've been insuring people in Baie-Saint-Paul, Alma, Baie-Comeau, Chibougamau, Chicoutimi, Dolbeau-Mistassini, Havre-Saint-Pierre, Hébertville, La Baie, La Malbaie, La Pocatière, Québec, Saint-Pascal and Sept-Îles for so long, we know your needs better than anyone. That's why we can offer you the best home, car, business or farm coverage for your budget. Welcome to Promutuel Insurance, your home away from home! In case of cancellation, the meetings will be rescheduled for Wednesday, March 20, 2019, at the same time and locations. Many prizes worth $ 10,000 will be drawn amongst attendees. We hope that many of you will be able to attend these meetings! Please consult the meeting notice (french only). En cas d’annulation, les assemblées seront remises au jeudi 22 mars 2018, à la même heure et aux mêmes endroits. Plusieurs prix totalisant 7 500 $ seront tirés parmi les membres-assurés présents. Nous espérons que vous serez nombreux à assister à ces rencontres! Consultez l’avis de convocation. In case of cancellation, the meetings will be rescheduled for March 22, 2018, at the same time and locations. Many prizes worth $ 7,500 will be drawn amongst attendees. We hope that many of you will be able to attend these meetings! Please consult the meeting notice (french only). You have until February 21 to submit your project! 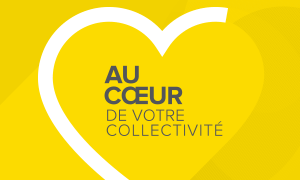 Au coeur de votre collectivité is an initiative that provides financial support for the most promising projects from community or charitable organizations in the area Promutuel Insurance du Lac au Fleuve serves. Complete the form online and you could win! 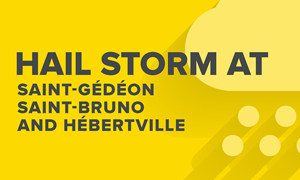 On July 27, Promutuel Insurance du Lac au Fleuve began repairing vehicles damaged by a major hail storm on July 21. An assessment and repair centre was set up to quickly and effectively meet the needs of insured members affected by this incident. Promutuel Assurance du Lac au Fleuve encourages its insured members to get in touch by calling 1-800-363-0119. See the press release (French only). Call 1-800-463-9646 (7 days a week, 24 hours a day) to open a claim file. A member of our team will contact you to schedule an appointment at the centre to assess the damage. For more information or followup on your claim, please contact your claims adjustor in charge of your file. To ensure efficient service given the number of claims, the Mutual cannot assist you without an appointment. You MUST schedule an appointment before going to the damage assessment centre. “We’ve deployed a qualified team on site to speed up claims processing and provide the best service possible,” says Pierre Raymond, general manager of Promutuel Insurance du Lac au Fleuve. Promutuel Insurance du Lac au Fleuve is proud to debut a new program that rewards insured members who recommend Promutuel to a friend. 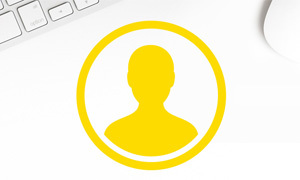 For each person you refer who completes a quote, you’ll get $15. 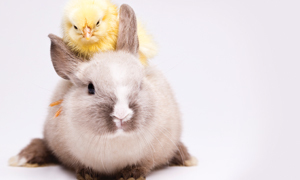 For the first time, all of our branches will be open over the Easter holiday. 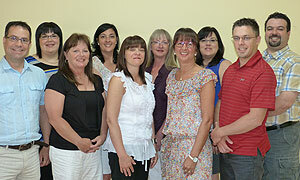 Our staff will be happy to serve you and answer your questions. Come visit us and Happy Easter! Due to the bad weather, the Annual General Meeting scheduled for March 15 has been postponed until March 22. The time and location remain unchanged. Thank you for your understanding. 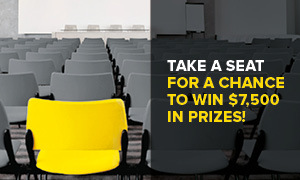 There will be a draw among insured members present for a number of prizes totalling $7,500 in BONUSDOLLARS. We hope that many of you will be able to attend this meeting! Please consult the meeting notice and positions up for election (French only). 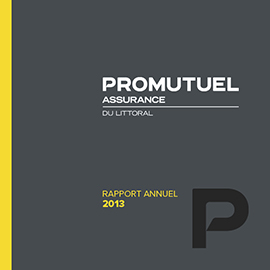 Insured members of Promutuel Insurance du Lac au Fleuve are invited to an extraordinary general meeting to be held on December 8, 2016, at 7 p.m., in Saint-Pascal (Centre communautaire Robert-Côté), or via live videoconference in Alma (Hôtel Universel, Rio Tinto Room) and at the office of Promutuel Assurance du Lac au Fleuve located in Baie-Saint-Paul (951, boul. Monseigneur-De Laval). True to its mutualist values, Promutuel Insurance du Lac au Fleuve is strongly committed to the community. Over the last 12 months, it has contributed $435,604 in donations and sponsorships to community organizations and cooperatives! For Promutuel Insurance du Lac au Fleuve, contributing to the social and economic well-being of the region is a given. In addition to the Powering Cooperation initiative, the company is proud to support dozens of causes every year in areas like health, education, fire prevention, economic development, and young farmers through its donation and sponsorship program. 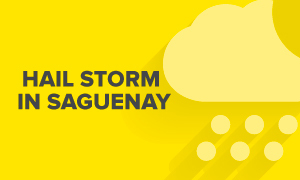 After Saguenay was hammered by a major hailstorm on July 27, Promutuel Insurance du Lac au Fleuve mobilized a number of members of its team to quickly carry out required repairs for its insured members affected by the event. Many employees from various mutual offices are currently responding to all insured members who have incurred damages, both to their homes and to their vehicles. Meetings will be set up with them to conduct damage estimates. A vehicle damage assessment centre is open at 415 Joseph-Nil-Claveau Street in La Baie and will remain open as long as necessary. “When extreme weather hits a region like this, we prefer to deploy a qualified team on site to speed up claim processing for insured members,” explains Josée Doré, Claims Manager at Promutuel Insurance du Lac au Fleuve. Promutuel Insurance du Lac au Fleuve invites its insured members to get in touch by calling 1-800-363-0119. 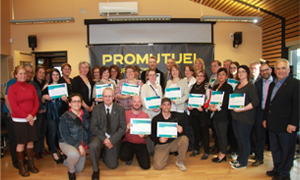 On May 10 as part of the “Powering Cooperation” initiative, Promutuel Insurance du Lac au Fleuve donated $125,700 to 39 organizations and cooperatives for their community projects. To be eligible, the nonprofit organizations and cooperatives had to be located in Kamouraska, Beauport, Côte-de-Beaupré − Île d’Orléans, Charlevoix, or Côte-Nord. They had from February 10 to March 16, 2016, to submit their projects. A jury reviewed the projects and selected the most promising ones to receive financial aid. The jury received an impressive 115 projects. For more information, consult the press release and the list of recipients. 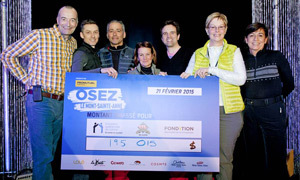 Promutuel Insurance du Lac au Fleuve: Proud partner of the Osez le Mont-Sainte-Anne challenge! On Saturday March 19,Promutuel Insurance du Lac au Fleuve held its third consecutive OSEZ le Mont-Sainte-Anne Challenge, supporting Fédération québécoise du cancer, Fondation des musées de la civilisation, and Université Laval’s Rouge et Or downhill ski club. “Promutuel Insurance du Lac au Fleuve shares common values with the OSEZ le Mont-Sainte-Anne Challenge. Not only are we supporting three important organizations, we’re getting people to spend a fun day on the mountain overcoming a challenge through cooperation, mutual aid, and solidarity. These values are important to us”, said Pierre Raymond, general manager of Promutuel Insurance du Lac au Fleuve. Read more . 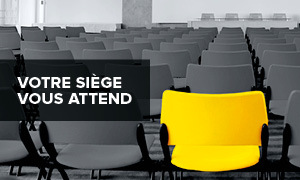 We invite our insured members to attend the annual general meeting, which will take place at 1 p.m. on Saturday, March 12 at Hôtel Universel, 1000 boulevard des Cascades, in Alma. There will be a brunch before the meeting from 11:30 a.m. to 12:30 p.m. with a live jazz trio for entertainment. We hope to see many of you there! You can view the reminder notice here. “Powering Cooperation” Initiative: Organizations’ projects will be rewarded! 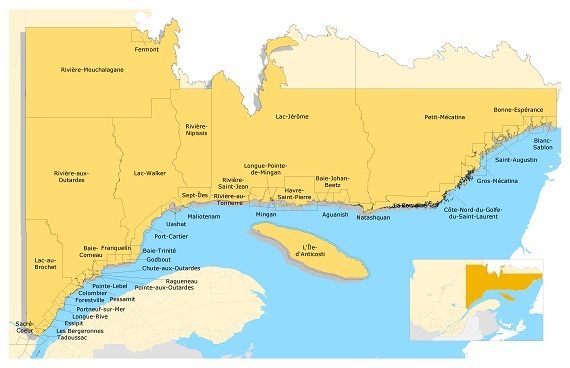 On February 10, Promutuel Insurance du Lac au Fleuve launched its “Powering Cooperation” initiative for community organizations and cooperatives in the following territories: Kamouraska, Beauport, Côte-de-Beaupré, Île d’Orléans, Charlevoix, and the North Shore (from Tadoussac to Havre-Saint-Pierre). 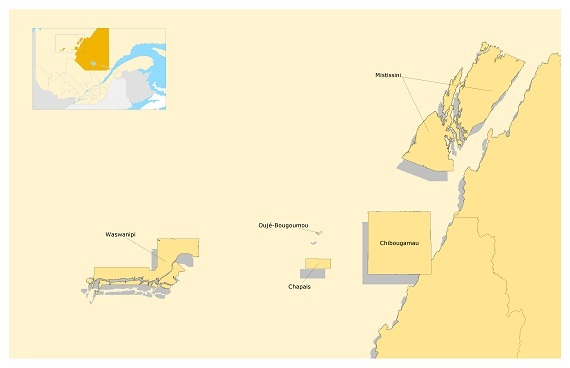 The territories in the Gulf of St. Lawrence and Caniapiscau RCMs are not included. Participating organizations will have from February 10 to midnight, March 16, 2016, to submit their projects. A jury will then review the projects to select the winners and determine the level of financial assistance for each. The grants will be awarded on May 6, 2016. 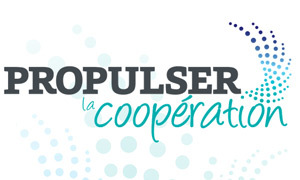 To learn more about the “Powering Cooperation” initiative and to fill out the online application form, visit promutuelassurance.ca/propulsercoop. 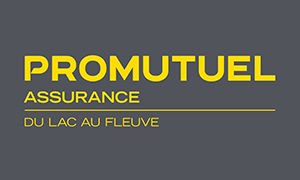 Promutuel Insurance du Littoral and Promutuel Insurance du Lac au Fjord have joined forces and officially became Promutuel Insurance du Lac au Fleuve on December 30, 2015. “We’re really proud of this merger,” said Pierre Raymond, general manager of Promutuel Insurance du Lac au Fleuve. “It puts us in a great position to meet the challenges of the industry—no small thing in today’s marketplace. 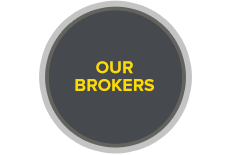 Our insured members’ satisfaction has always been the main thing for us. It’s what’s guided and will continue to guide us in everything we do." The Mutual’s head office will be in Baie-Saint-Paul. To continue providing the same outstanding service across the full expanse of the merged territories, all branches of the two former mutuals will remain open, for a total of 15 service outlets. For more information, see the press release (French only). 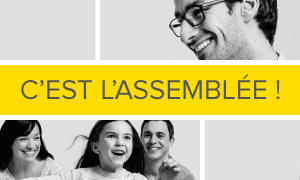 À la suite de l’avis de convocation paru dans la semaine du 14 septembre dernier, Promutuel Assurance du Littoral désire vous rappeler la tenue d’une assemblée générale extraordinaire qui portera sur le projet de fusion entre Promutuel Assurance du Littoral et Promutuel Assurance du Lac au Fjord. Enter our “Dollars of Dreams ” contest! Don’t miss our 2015 “Dollars of Dreams” contest—you could win up to $5,000 cash or over $6,000 in gift certificates redeemable on insurance purchases. You have until December 31 to enter. To be eligible, just renew your Promutuel Insurance Lac au Fjord policy or take out a new one. Entry is automatic. Good luck to all! 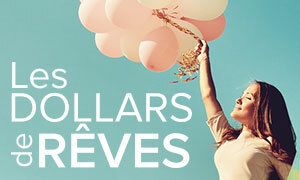 See “Dollars of Dreams” contest details (French only). La Société et Promutuel du Lac au Fjord, société mutuelle d’assurance générale (ci-après « Promutuel du Lac au Fjord ») souhaitent fusionner en une seule société mutuelle d’assurance (ci-après la « Société fusionnée »). On september 19th, Omer Bouchard, chairman of the board for both Groupe Promutuel and Promutuel Assurance du Lac au Fjord , and Pierre Raymond, general manager of Promutuel Insurance du Lac au Fjord, officially launched the “Powering Cooperation” initiative, aimed at community organizations and cooperatives in Saguenay−Lac-Saint-Jean and Chibougamau-Chapais. The press conference was held at Boîte à Bleuets in Alma. Participating organizations will have five weeks, from September 9 until midnight on October 14, 2015, to submit their projects. A seven-person jury will then review the projects to select the winners and determine the level of financial assistance for each. The grants will be awarded in a ceremony on December 2, 2015. 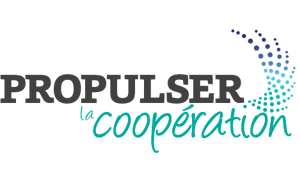 To learn more about “Powering Cooperation” and to fill out the online application form, visit promutuelassurance.ca/propulsercoop (in French only). 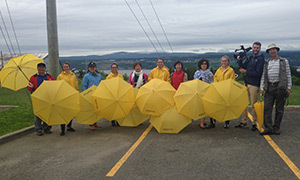 On a rainy June 21, 2015, a Promutuel Insurance squad visited various public places in Chicoutimi and surprised passersby by handing out umbrellas sporting the mutual company’s logo. 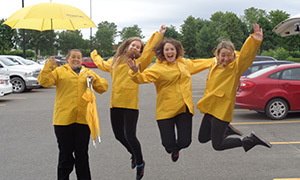 On a rainy June 21, 2015, a Promutuel Insurance squad visited various public places in Île d’Orléans and Côte-de-Beaupré and surprised passersby by handing out umbrellas sporting the mutual company’s logo. 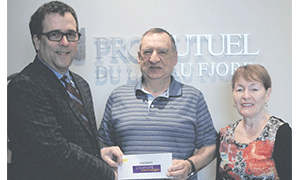 At its annual general meeting on Thursday, March 19, Promutuel Insurance du Lac au Fjord announced the winners of the grand prize in its annual contest, a trip to Europe worth $6,500. The lucky winners of this year’s edition are Richard Plamondon and Diane Larivière of Laterrière. The mutual was delighted to learn that the retired couple had long dreamed of exploring Europe. General manager Pierre Raymond places great importance on contests and other initiatives to benefit clients. “It’s an honor for Promutuel Insurance du Lac au Fjord to have longtime insured members and be able to thank them. 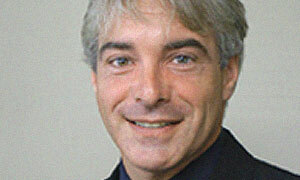 It’s important to give back to our clients and recognize their ongoing trust in us,” he said. 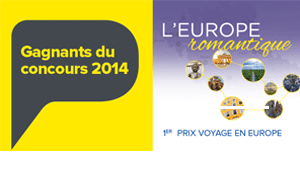 Promutuel Insurance du Littoral is pleased to announce the winners of its “Take a Payment Holiday for 1 Year” contest. 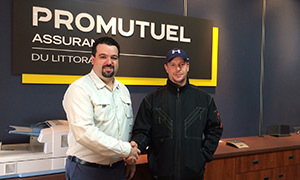 Congratulations to Éric Soutière from Pointe-Lebel! Promutuel Insurance du Lac au Fjord is pleased to announce the winner of its “Take a Payment Holiday for 1 Year” contest. 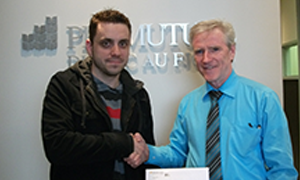 Congratulations to Daniel Lachance, who has won the payments on his vehicle premium! Client satisfaction is our top priority, and we strive to continually improve the client experience by following up on claims with a survey. Every month, we analyze the survey data, which is an important and effective tool for our experts. It’s sort of our version of a grade school report card! All respondents are entered in a yearly draw. This year’s winner is Mr. Lachance. We thank him for helping us improve our services. At our last annual general meeting on March 19, we held a draw for winners of the 17 prizes in our “Romantic Europe” contest. Congratulations to all the winners, and thank you for attending our meeting! For more information, consult the PDF. 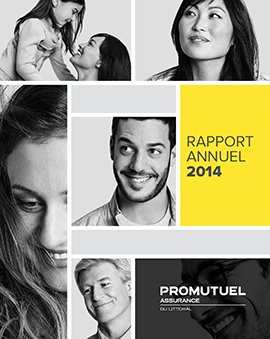 Insured-members of Promutuel Insurance du Littoral are invited to join us at Saint-Pascal (Québec) on March 24 2015. We hope to see many of you there! 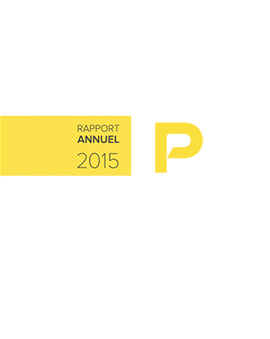 We want to thank the 150 person who attended the Annual General Meeting on March 24, 2015. Promutuel Insurance du Littoral, major partner of the Osez le Mont-Sainte-Anne challenge! 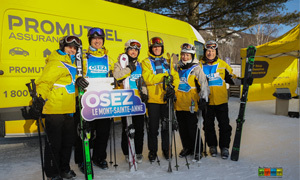 For the second year in a row, we’re proud to have contributed to the success of the OSEZ le Mont-Sainte-Anne challenge, a charitable sporting event that took place on Saturday, February 21, 2015. The challenge involved a solo or team relay race on downhill skis, cross-country skis or snowshoes, or a combination of all three disciplines. To succeed in the challenge, participants needed to show cooperation, mutual support and coordination. “It’s extraordinary what we can accomplish when we all work together toward a common goal, and the OSEZ le Mont-Sainte-Anne challenge is the perfect example,” said Pierre Raymond, General Manager of Promutuel Insurance du Littoral. The event, which attracted 275 skiers and snowshoers, together with 85 coordinators and volunteers, raised a grand total of $195,015 for the benefit of three worthy causes: Fondation québécoise du cancer, Fondation des Musées de la civilisation and Université Laval’s Club de ski alpin Rouge et Or. 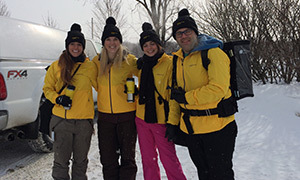 To spread a little warmth on Valentine’s Day, Promutuel Insurance dispatched a special task force on February 14 to surprise passers-by in public places across the l’Île d’Orléans and Côte-de-Beaupré area by giving them a free hot chocolate in a bright yellow Promutuel mug. It was a fun day that spread plenty of smiles too! 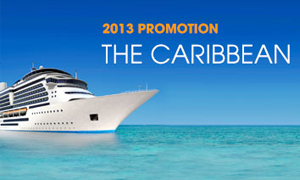 All our congratulations to Mr. Germain Veilleux, the lucky winner of our Take a Payment Holiday for 1 Year Contest! Mr. Veilleux is a long-standing insured-member—since 1982—of Promutuel Assurance du Littoral, and we would like to thank him from the bottom of our hearts for his trust and loyalty over all these years. 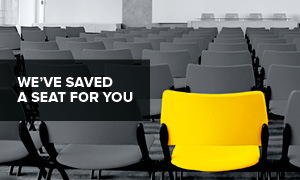 Our insured-members who submit a claim are invited to answer a survey once their claim is settled. The Take a Payment Holiday for 1 Year Contest acts as an incentive and helps us gather as much feedback as possible about our customer satisfaction rate. 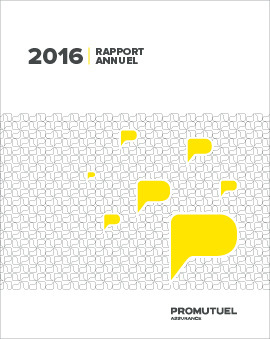 We are proud to announce one winner every year among all of the entrants who completed a survey. As part of its desire to constantly improve the customer experience for insured-members, Promutuel Assurance du Lac au Fjord invites its customers to answer a survey once their claims have been settled. 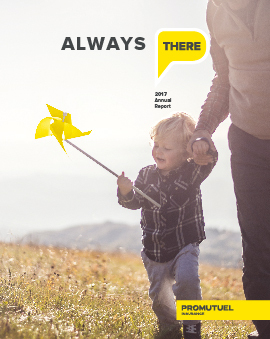 The survey provides us with a mine of information to help us continually improve our services and strive for excellence in our claims process. We make it our priority to provide a flawless customer experience. The information we learn through the survey tells us about the quality of service our business partners are providing. Our goal is to make sure the customer is happy throughout the claims process from start to finish. The Take a Payment Holiday for 1 Year Contest acts as an incentive and helps us gather as much feedback as possible about the satisfaction rate among our insured-members. We are proud to announce one winner every year among all of the entrants who completed a survey. Promutuel Assurance du Lac au Fjord is pleased to unveil the list of winners for the 2013 contest THE CARIBBEAN – When Dreams Come True. A draw for 17 prizes, including the Caribbean trip, was held at the Annual General Meeting on March 20 at the Delta Saguenay Hotel. Congratulations to the lucky winners! Promutuel du Littoral is proud to announce a merger with Assurances Desjardins Plamondon, a company that has been part of the Baie-Comeau community for over 50 years. There is a shared passion for customer service among the owners and employees of both companies. That’s why it’s a great pleasure to announce that we’re joining forces to provide great insurance products right here in Baie-Comeau. Promutuel du Littoral will continue its long tradition of providing car, home and business insurance close to our members from Assurances Desjardins Plamondon’s current office at 1315 Blanche Boulevard in Baie-Comeau. 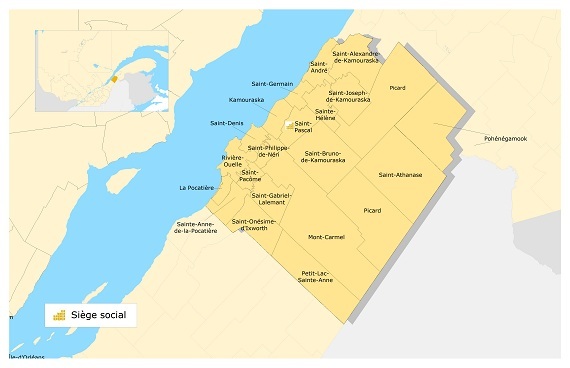 The Baie-Comeau office will become the third Promutuel location in the Côte-Nord region, along with Sept-Îles and Havre-Saint-Pierre. 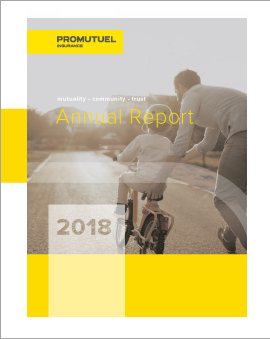 A proud member of the Groupe Promutuel, one of the largest damage insurers in Québec, Promutuel du Littoral has nearly 27,000 insured members and revenues of over $25.8 million, generating major economic benefits for the regions in which it operates. 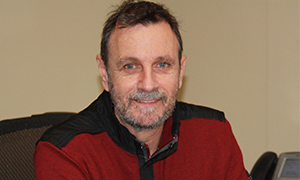 Interim general manager Pierre Raymond is happy to announce the nomination of Jean Lamoureux, Business Development Manager, as co-president of the Leucan 12-Hour Ski Challenge. Jean’s social commitment and personal values led him to take action on behalf of sick children, supporting their families to encourage them in their fight towards recovery. His co-president, Myriam Boucher, a kinesiologist and manager of Remix Santé, will work alongside him to make the fifth edition of the Leucan 12-Hour Ski Challenge an unprecedented success. Promutuel du Lac au Fjord is counting on its staff to support them as they take on this challenge. 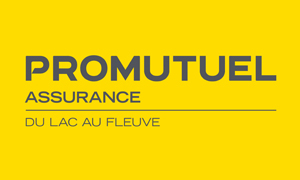 Promutuel Insurance du Lac au Fleuve, created on December 30, 2015, is the result of the merger between Promutuel Insurance du Littoral and Promutuel Insurance du Lac au Fjord. To position themselves strategically in a competitive market while continuing to build on their strength as mutuals, the two mutuals decided to join forces to better meet the needs of their insured members. This merger will also provide the new mutual with an even stronger capital base. The new mutual's head office is in Baie-Saint-Paul. To serve all its insured members throughout the merged territories, it also has offices in Alma, Baie-Comeau, Chibougamau, Chicoutimi, Chicoutimi-Nord, Dolbeau-Mistassini, Havre-Saint-Pierre, Hébertville, La Baie, La Malbaie, La Pocatière, Quebec City, Saint-Pascal and Sept-Îles. Promutuel Insurance du Littoral has a rich history that spans nearly a century. The result of a merger between the mutuals Promutuel Kamouraska-Côte-Nord and Promutuel Charlevoix-Montmorency, this strong general insurance company has grown slowly but surely to become one of the largest insurance companies in Eastern Quebec. 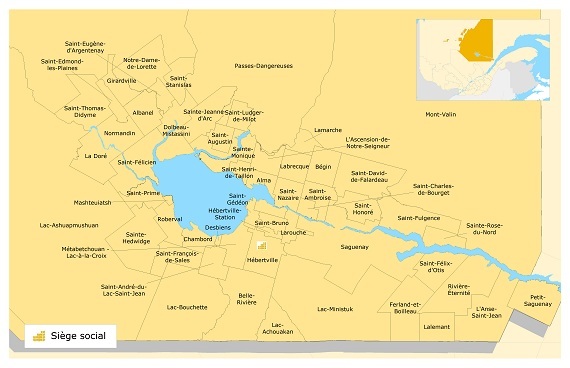 Residents in Quebec City and the surrounding area, on the majestic north shore of the St. Lawrence, from Charlevoix to Blanc-Sablon, and in Kamouraska have benefited greatly from this partnership with their mutual. Born out of a need for cooperation and solidarity among farmers in the region, Promutuel Insurance du Lac au Fjord was the result of several mergers between mutuals in the parish. 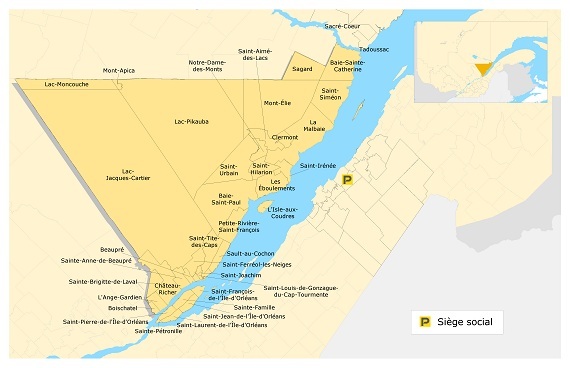 But the mutual was first and foremost the result of a 1999 merger between two regional powerhouses: Promutuel Saguenay and Promutuel Lac-St-Jean. Promtuel Insurance du Lac au Fjord was the result of a decision to forge boldly ahead into the future: the stuff of legend. *Our call center is open until 7:00 pm. Office closed between 12pm and 1pm. *Our call center is open until 7:00 pm.